​Commitment to safeguarding Music at St John’s (MASJ) believes that a child, young person or vulnerable adult should never experience abuse of any kind. We recognise that we have a responsibility to promote the welfare of all children, young people and vulnerable adults. We are committed to safeguarding the well-being of all children, young people and vulnerable adults with whom we come into contact and to protecting them from harm. § This policy applies to; all trustees and other members, volunteers and anyone working on behalf of MASJ or taking part in its activities. § The purpose of this policy is to provide the overarching principles that guide our approach to the protection of children, young people and vulnerable adults. o Children up to the age of 16 or young people aged 16-18.
o Adults aged over 18 defined as vulnerable by the Safeguarding Vulnerable Groups Act 2006; this might include adults with a learning or physical disability, a physical or mental illness, chronic or otherwise, including an addiction to alcohol or drugs, or reduced physical or mental capacity. o Protect children, young people and vulnerable adults who are: members of, receive services from, or volunteer for work with MASJ. o Ensure that all members and others working with children, young people and vulnerable adults are carefully selected and understand and accept responsibility for the safeguarding of those vulnerable individuals with whom they are interacting. o Ensure that safeguarding of children, young people and vulnerable adults is a primary consideration when MASJ undertakes any activity, event or project. How MASJ might work with vulnerable people Junior Membership of MASJ is open to anyone under 18 years of age but only as a family member associated with a related parent or grandparent. They would not attend any members meetings unless accompanied by such related parent/grandparent. MASJ organises concerts and other events for the general public to which children are invited to attend either as audience or active participants. § Members and non-members who attend concerts and other events. § Relatives and friends of members and non-members who attend such concerts and other events in a volunteering capacity to help with the running of each event. MASJ has appointed a Safeguarding Officer who is fully DBS cleared – see below for current names. The Safeguarding Officer will nominate one member of MASJ to have overall responsibility for safeguarding issues at each event. 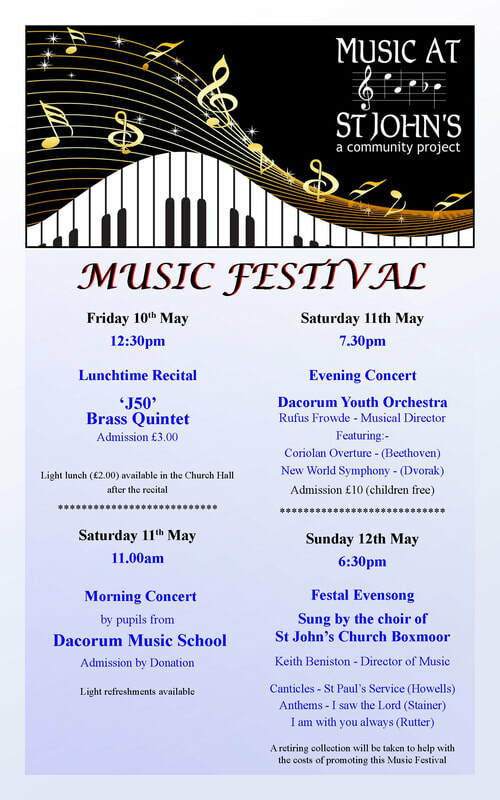 In the case of any event organised in conjunction with Dacorum Music School the nominated person will be the head of that school or a delegate, either of whom will also be fully DBS cleared. Whenever school children are in the church at these events, they will always be accompanied by at least two of their teachers (who are themselves DBS cleared). In all other cases the nominated person will be the Safeguarding Officer or a delegate, either of whom will also be fully DBS cleared. All queries and concerns relating to safeguarding at an event should be referred to the named responsible person in the first instance. Any projects, events or other activities that will involve vulnerable people must be planned with the involvement of the named safeguarding person and in line with established procedures and ground rules (see separate document attached: Safeguarding Policy: Ground Rules, Ways of Working and Procedures which forms part of this policy). Policy review: This policy will be reviewed and amended (if necessary) on an annual basis by the Board of Trustees of MASJ. It will also be reviewed in response to changes in relevant legislation, good practice, or in response to any identified failing in its effectiveness. In dealing with a safeguarding incident the trustees of MASJ will always be mindful of the rights and privacy of the alleged perpetrator.